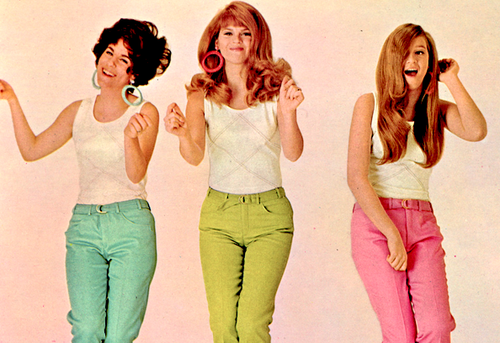 Just as you couldn’t pitch a penny on a street corner in the 1950s without hitting an all-male doo-wop group, during the early to mid-60s you couldn’t swing a dead microphone without tipping the wigs of a bouffanted girl group. Standing out amid the sea of chiffon, the toughest tearjerkers of all were The Shangri-Las, two pairs of sisters from Queens, New York who specialized in teenage tales of love and loss. The girls met in high school and began singing together around the neighborhood and at nearby record hops. They recorded a couple of failed singles before coming to the attention of one George “Shadow” Morton. Morton had never written a song in his life, or produced one for that matter, but he told master songsmith Jeff Barry that he, too, wrote songs. And Barry called his bluff. So Morton booked himself a studio, booked The Shangri-Las, and then went to the beach where he sat in his car and knocked out a song. He titled it “Remember (Walkin’ In The Sand),” and The Shangri-Las took the single to #5 on the US chart. Pretty impressive for an unknown group (still in high school!) with a first time songwriter/producer. But now came pressure to repeat the feat. What were the odds of lightning striking twice? In order to stack the deck, Morton brought in ace songwriting team Ellie Greenwich and her husband, the aforementioned Jeff Barry, who had already scored #1 hits with “Chapel Of Love” by The Dixie Cups and “Do Wah Diddy Diddy” by Manfred Mann. Together, they wrote a Romeo and Juliet scenario with a twist: in a tweaking of gender roles, the bad boy doesn’t break the good girl’s heart — she ends the relationship one rainy night, and he speeds away on his motorcycle. His motorcycle of DOOM! Lead singer Mary Weiss–all of 16 at the time–cried her way through her vocals. But heartache makes the cash registers shake. 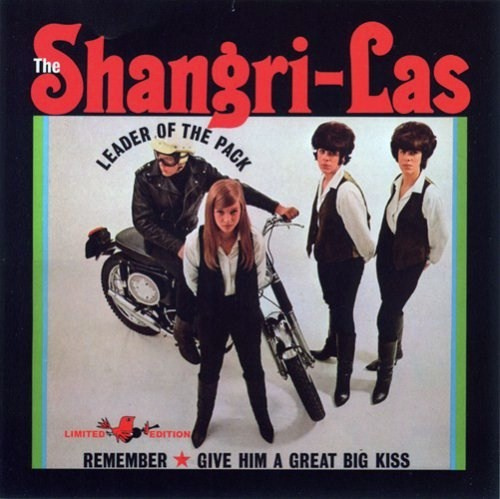 The single, titled “Leader Of the Pack,” shot up the charts and hit #1 in the fall of 1964. The Shangri-Las had a number of minor and moderate hits during 1965, but lost momentum when the girl group era came to a close. Shadow Morton went on to produce successful records by Janis Ian and Vanilla Fudge. We’ll visit with him again later. So, here’s the tragic tale of Betty and Jimmy. By the way, Betty, where’d you meet him?